Sounds like a great plan.Cheers. Thanks for the update and glad to see you two still riding a cool wave! Merry Christmas and a great New Year for rest and renewal. Sounds like an awesome plan says the guy who volunteers as the snowboard team lead at Ignite Adaptive in the winter and does moto support for pro bike races in the summer. Thanks for all the wonderful pics and reports in the past and looking forward to hearing about whatever travels you may have in the future. For the Dr. Who fans. Y'all certainly deserve the "break", enjoy! AND Thanks again, much appreciated. Glad to hear you guys are doing great! I missed the blog posts with all the great photos and stories. But sometimes it was tough keeping up with your adventures....i needed a break too! :0 Just know you made a lot of people happy sharing your adventures with great photos. Awesome! Way to go! That is a really nice break. Merry Christmas to both of you! Awesome place to take a break, on a ski lift for the winter. Look forward to your next installment or plans for the future rides. Happy Holidays to you both. 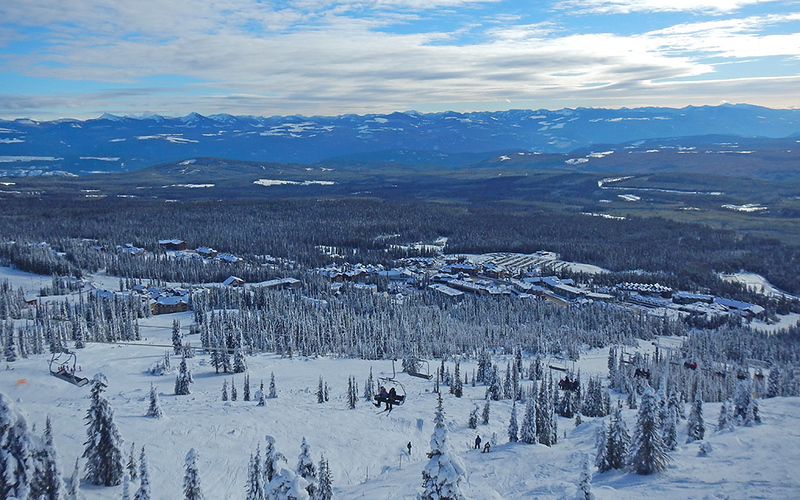 I used to ski Big White a good bit back in the 90's and early 20's it's one of my favorite Mtns. as are a lot of the other B.C. hills (just deal with the FOG though) . Would fly into Spokane and drive up after hitting Red Mtn. etc I need to get back there. Much more enjoyable than where my bro. lives in summit county Co.
Hope to do the same...! Thanks for the inspiration..! Hey guys, this is so weird, way back .... couple years ago I was following your ride report, then you took a bit of a break and so did I. This week I was in Orchard Plaza Save on Foods and I see a lady... that somehow I recognized? My wife always says, how do you that guy, or it seems like you know them? I forget a lot of things like birthdays and anniversaries, but people I remember. Finally it came to me and I checked back on here. Pretty sure it was Neda, I wondered how I recognized this person and it took a while to figure it out. I see your up at Big White Out! I ride that hill all the time. Hope your having a great season! We just need a bit more powder! Maybe we could hook up with my riding buddy and We could show you some secret powder places!! A new Japan post on ridedot.com a few days ago... maybe the saga continues? Small world! 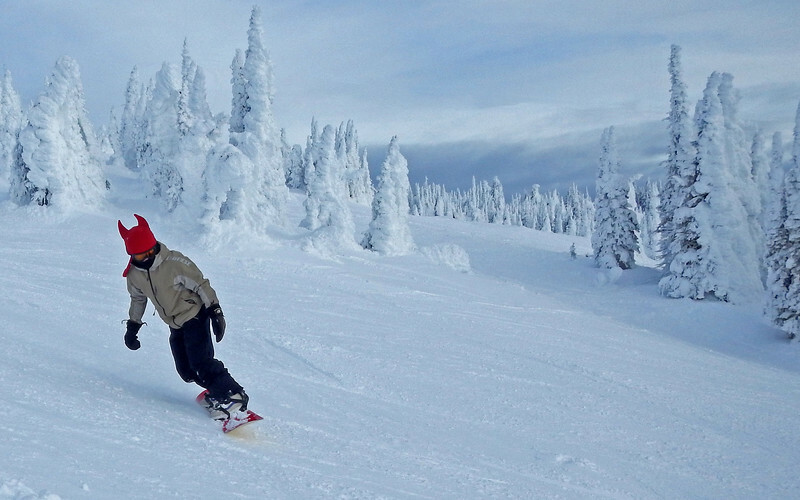 Let's meet up at Big White sometime. We were at the Vancouver motorcycle show last month and had a great conversation with someone else who also recognized us through the blog. That was unexpected! Gene, I had to take a break from your travels and just came back. Are you now back in BC? Are you at the end of your legendary travels or just taking a break? The trip is not over, but we're taking a break from everything: riding, touring, blogging, etc. It was getting a bit too much, we were getting burnt out and we needed a change. Maybe get back to the motorcycle trip sometime next month. 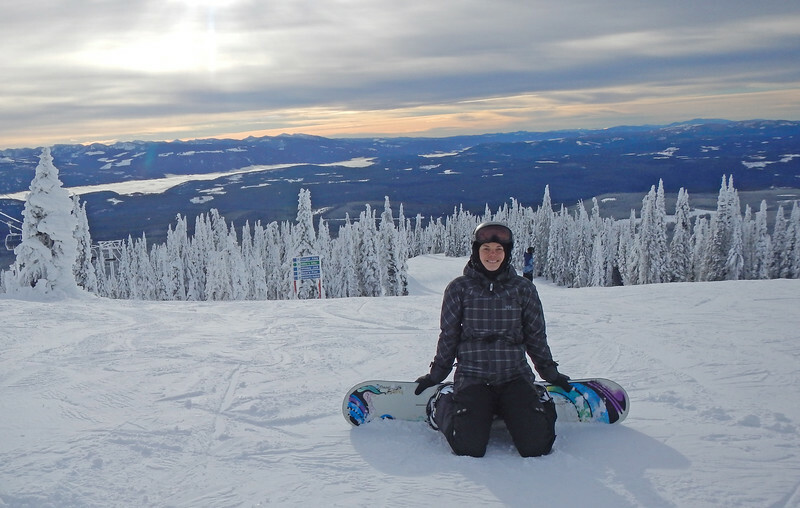 We've temporarily relocated to the west, in Kelowna BC, where we're trying our hand out at being snowboard bums for the rest of the winter. roadcapDen, SoPaRider, monsterRS and 9 others like this. Thanks for the update! And all of us who have traveled even for a couple of months at once understand your need for a break and a change. Enjoy your break and know we all celebrate you two, moving or not! Rippin209, Juanillo and Sunday Rider like this. BC totally beats Ontario. We are one time Ontarians who found our "little piece of heaven" in the hills a little northwest of Kamloops. The weather is better. The bugs are fewer. Options for outdoor activities are only limited by your imagination. Totally enjoy reading about your ongoing adventures. Whenever you get around to exploring the rest of the southern interior, feel free to drop in. We'd love to host you. We've got room and no cats. We're not here for much longer in the Okanagan, but this seems like a nice place to make a home, so I'm sure we'll see you the next time we're back! Dang I was at the Vancouver motorcycle show but I missed you guys. If you find yourself down on the coast (Chilliwack) PM me. Not sure how long you two are going to be in the interior but don’t forget to check out Vancouver Island. The best part of the We(s)t Coast.